I'm one of those girls who should have the back of her hand smacked for not moisturising enough. I suffer from pretty dry skin especially during the colder months but thanks to my new skincare routine I think I have this in check for the winter. 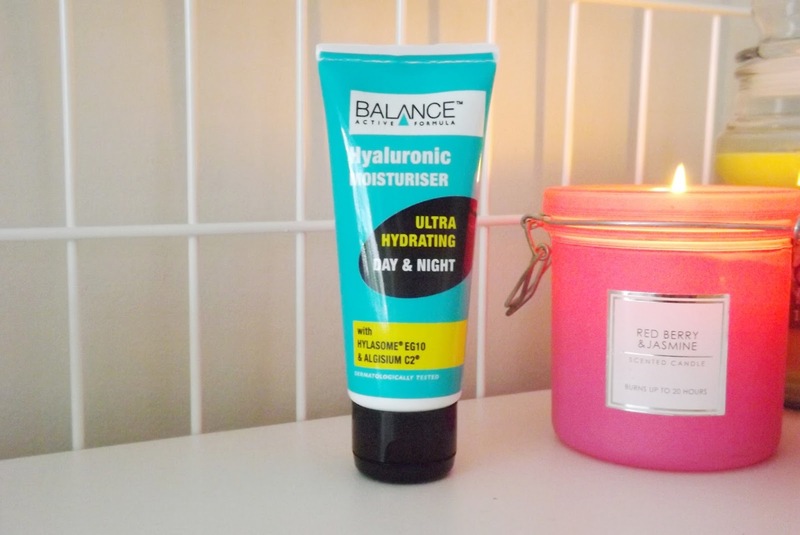 In my current skincare routine I've been using the Balance Active Formula Hyaluronic Moisturiser as my final step to add a little extra moisture and love to my skin before starting my day or heading off to bed. Balance Active Formula is a skincare brand I have heard of before but I can't seem to think where I'd seen them before. I met the brand at the Bloggers Festival back in September where they kindly gave me a goody bag with lots of things from their current ranges as well as from other brands owned by the same company. 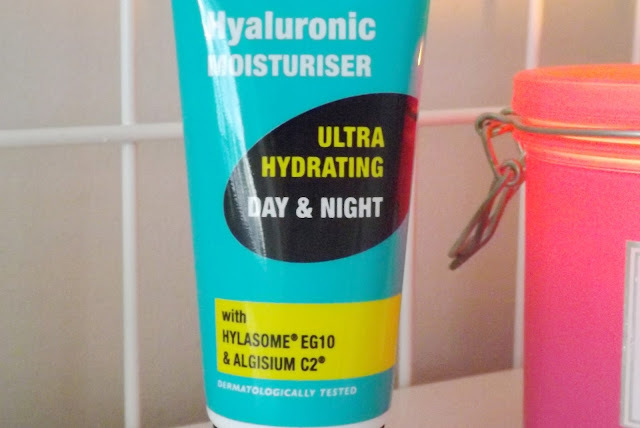 This moisturiser was what caught my eye the most from all the products and I've been enjoying it as the final step to my three part daily skincare routine. The Hyaluronic Moisturiser offers hydration, a more even skin tone, skin radiance and a firmer appearance. I can say that I've definitely received the hydrating qualities, but as well as that I have noticed a more even skin tone. 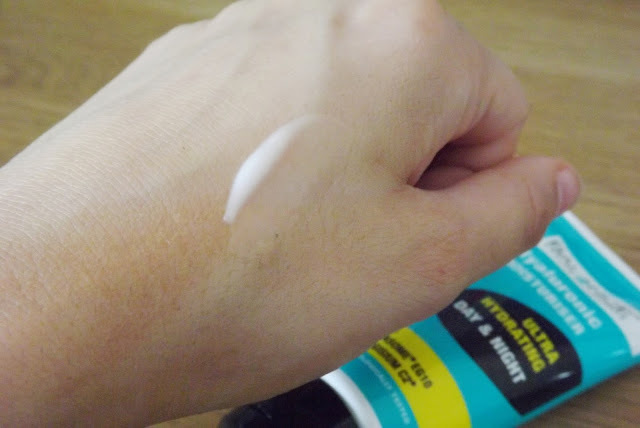 As well as my skin being quite dry and sensitive I was always a bit concerned with the fact that I had an uneven skin tone around my t-zone. I hadn't noticed it straight away, but my skin tone has gradually been evening out and though it's still not 100% even, it's much better than it used to be. Applying the moisturiser is as simple as it gets, applying it as you would any other moisturiser. You only need a small amount. I can't quite tell how much is left, but it has done well for a small 50ml bottle! As well as the Gentle Cleansing Creme and the Vitamic C Serum, this product is only currently available online but is hopefully making its way to shelves in the UK very soon. It is although easily found online on Beauty and the Bunch along with many of their other products from their current ranges and Amazon. This is another product I would recommend to try if you're looking for a new moisturiser. Personally, as much as I love it, it's the fact that it isn't available on the high street just yet that puts me off purchasing online. I really dislike purchasing beauty products online, but if made available on the high street I would purchase it!